You can spend your holiday experiences close to the most beautiful places in Slovenia and near the airport Ljubljana. At Bled, you will spoil your sweet tooth with creamy slices, and a little further enjoy at the Vintgar Gorge, lake Bohinj and the Triglav National Park. To the other side is the capital, Ljubljana and the Postojna cave with famous stonics and a extrodinary animal- human fish. A quiet, green and unspoilt surroundings, sunny area and breath-taking view is what impresses most guests and stays in their memory. You can enjoy the sunlight on the terrace in front of the apartment, or you can have a short walk through unspoiled forests in the surrounding area. Just from the apartment you will go to one of the many mountain tours. On the paths that our shoemaking masters and mountaineers have made, one can feel the joy of life and the love of nature. You can choose a two-person or romantic hike in the meadows, you will always be away from the crowd and in the middle of nature. It is the best to explore the world on a bicycle, especially at a destination that specializes in touring biking. There are as many as 30 trails in Tr?i?, and each offers a different ride. The adrenaline will shake you to the left, and an idyllic path for the whole family awaits you on the right. Let's sang along the way with the bike. Tr?i?! It all began with the dragon. He came to life deep inside the mountain of Košuta. When he grew into a huge beast it split the mountain in two. This triggered a roaring rockslide that buried the settlement below the mountain. To save themselves the inhabitants ran into the valley. After a time they ran out of breath and stopped. This is where the present-day town of Tr?i? grew and developed. The gorge is a journey through time. Although it is older than the dinosaurs, no dinosaur ever trod here. They did, however, swim: 300 million years ago this place was the site of a tropical sea, teeming with marine animals. Today in the walls of the gorge we can see their fossilized remains in abundance, including some that are found elsewhere in the world. 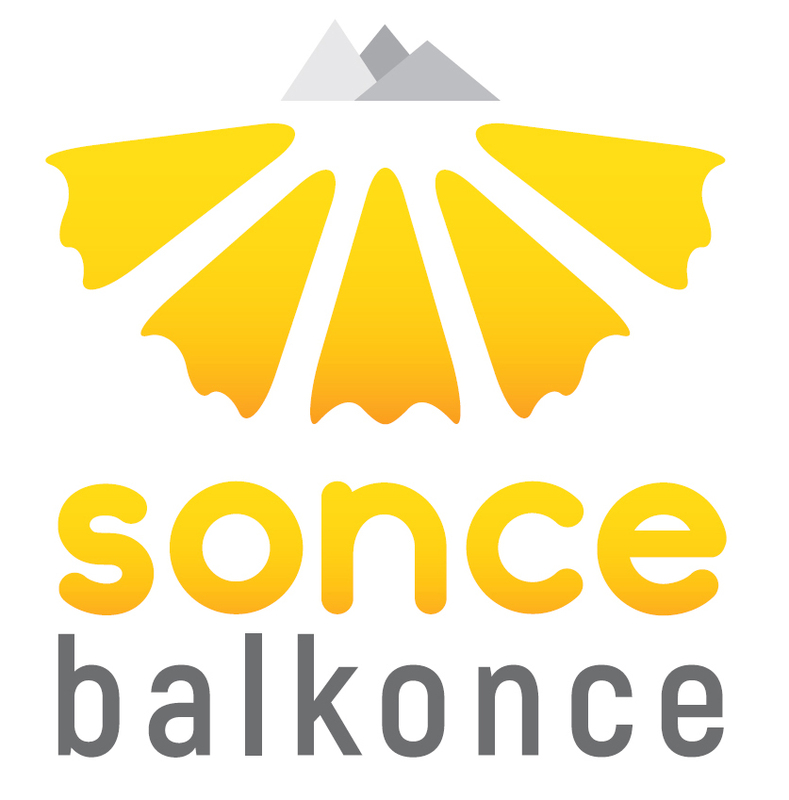 Three minutes walk from the apartment Sonce balkonce is a small horse farm. Friendly girls Anita and Ne?a care for the mares Samantha and Regina. They are also pleasing to greet the guests in the courtyard of the apartment. We recorded a short movie in the nearby area. Link below.